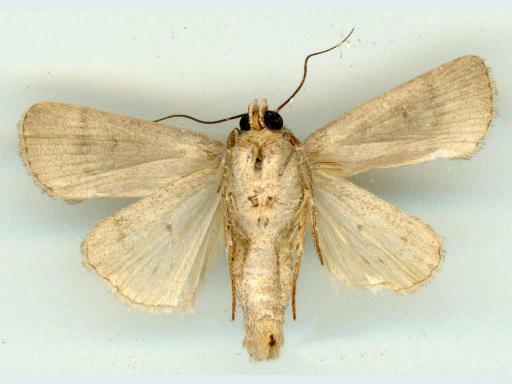 The adult moth of this species has pale brown forewings each often with a dark mark near the middle of the margin, and several faint transverse zig-zag lines. 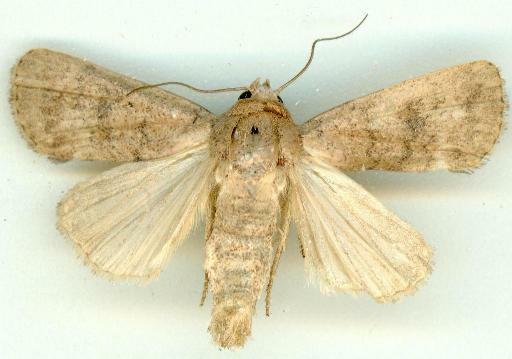 The hindwings are white, darkening slightly at the edges. The wingspan is about 2.5 cms. 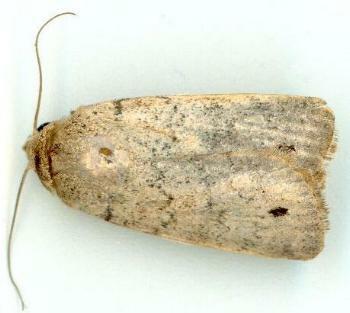 The undersides are off-white with faint shadows of the upper surface markings. Volume 8 (1909), pp. 362-363, No. 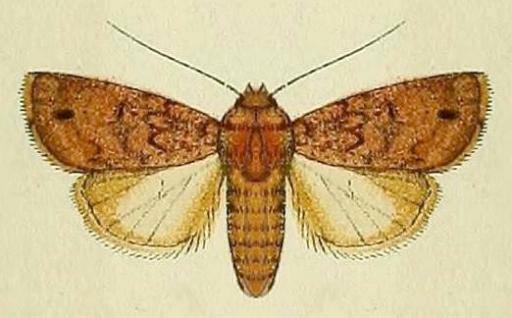 4011, and also Plate 123, fig. 7. Volume 26 (1901), pp. 651-652. LeapFrogOz, Kuranda, 2015, p. 119.